Welcome to the Everglades Chapter of the Antique Motorcycle Club of America. 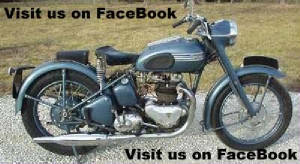 The purpose of this chapter is to promote the preservation & restoration of antique motorcycles. If you are not a member we encourage you to join us. You do not have to own a antique motorcycle to become a member. The Everglades chapter is comprised primairly of people from the West Palm Beach, Miami and Naples area as well as a few from as far north as Orlando. This chapter was founded in 2004. As a new chapter it was started with 31 original founding members and with current membership growing this club will continue to hold antique motorcycles runs as well as assist the Sunshine Chapter in the yearly meet in New Smyrna Beach. Be sure to get in touch to offer comments and join our mailing list.